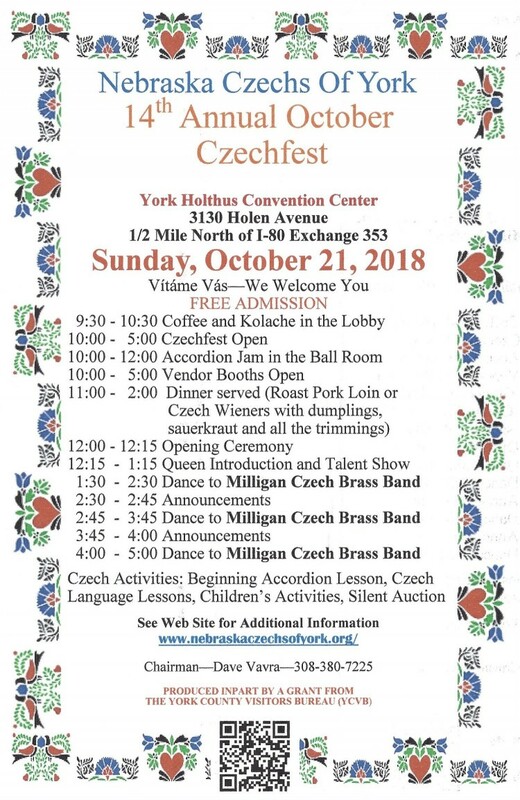 The Nebraska Czechs of York was the 16th chapter to join the Nebraska Czechs Inc. and are located in York, Nebraska. 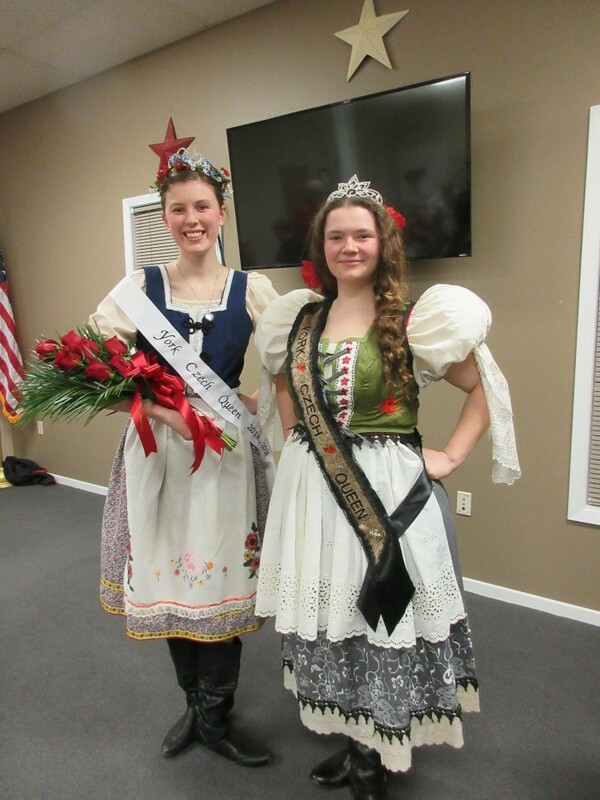 On March 15th, Leahh Anderson, the 2017 York Czech Queen passed her sash and crown along to Jessie Poskochil, left, who will represent the area’s Czech community for the coming year. Jessie Poskochil, a UNL senior, Bennet native and Palmyra High School graduate shared her talent with the York’s Czechs at her Coronation. Queen Poskochil will represent the York Czechs at the Miss Nebraska Czech-Slovak Queen Pageant on June 23 at the Clarkson 56th Annual Czech Festival. 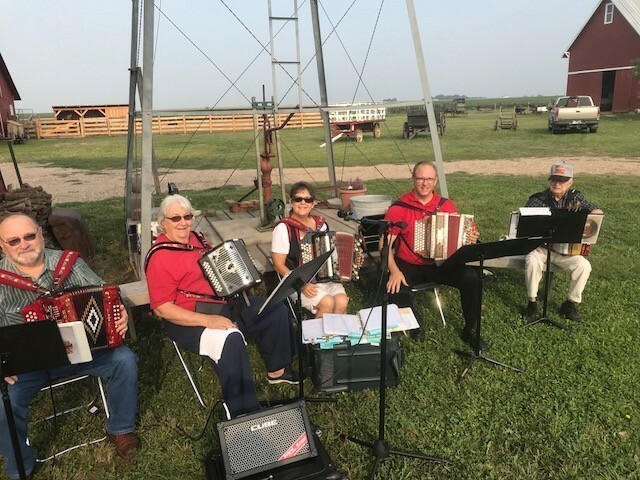 On August 11th, Button Box players join together to make music at the Wessel Living History Farm’s Tractor, Engine & Auto Show (York, NE). Left to right: Clark and Fran Reinert, Pat Carpenter, Pat Hotovy and Don Osentowski. 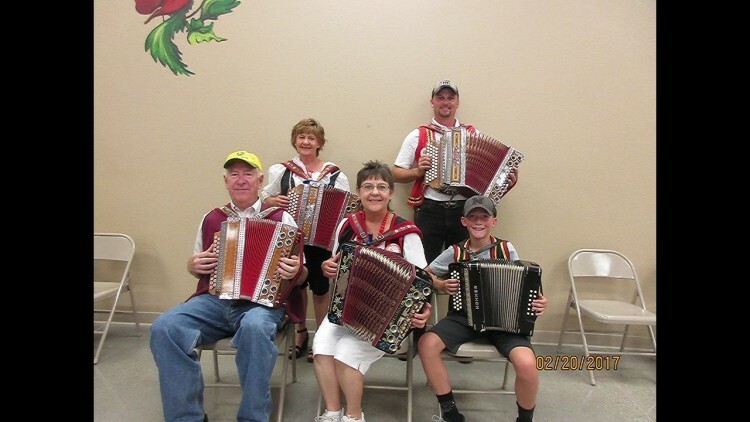 Musicians from Wilber, York, Milford and Seward taught the “ins and outs” of the button accordion at the 2018 Wilber Czech Days. The Wilber Czech Cultural Center provided a nice air conditioned place to learn how to play a short song. Those teaching were: standing Connie Strouf and Jeremy Kohout. Seated from L-R were Franklin Hronik, Pat Carpenter and Conner Kohout. 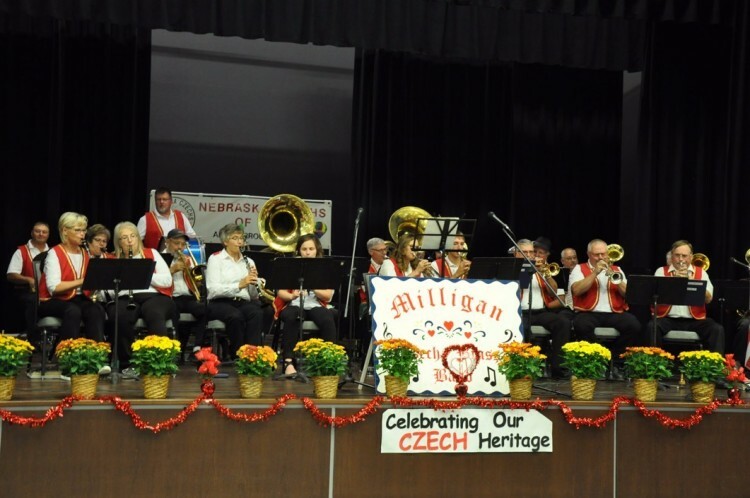 Each year at the Wilber Czech Days, there are four demonstrations at the Czech Cultural Center. 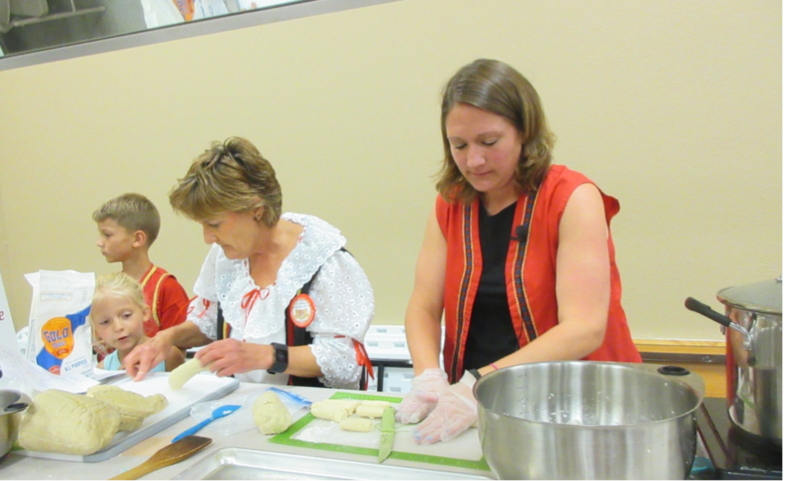 The demonstrations this year were: Three Kinds of Dumplings by Lindsay Strouf Kohout and her family, Czech Bublanian or Bubble Cake by Peg Paben and her family, Rosettes by Lynn Vrbka and Button Accordion Basics from musicians from Wilber, York, Milford and Seward. Right to left - The picture above shows Lindsay Strouf Kohout making drop dumplings while her Mom, Connie Strouf, makes a loaf dumpling. Gracie Kohout is watching her Grandma make the dumplings and Jonny Kohout is helping with getting the ingredients and serving samples of these delicious dumplings.